After yesterday's surprising news that Anheuser-Busch had acquired Bend's 10 Barrel Brewing, I wrote a post for All About Beer discussing some of the implications. I was trying to make two main points: 1) there's no benefit for A-B in dumbing-down 10 Barrel's beer--they purchased the brewery because it makes such good beer, and 2) that this kind of thing is the way of things in mature markets, so we should expect more. If beer has soul, does that make Jean Van Roy God? The reactions on Facebook to that post are worth a read--and were totally enlightening. 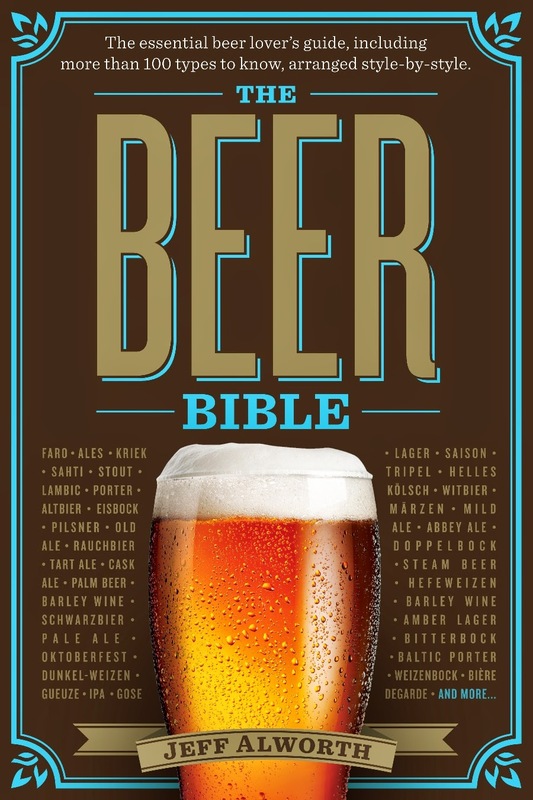 According to a preponderance of the comments, my points weren't just wrong, they were heresy: "Beer with no soul is not beer I care to drink" and "I say we see one more brewery who made a devil's bargain and lost the appeal of those who supported ... them." A San Francisco software company acquired by Apple. It's hard to see how the outrage would be the same, yet shoe fans and comic book fans and tech fans are all passionate. I'm not trying to make any bigger point here. Even though I no longer hold the view, I'm not entirely sure the idea of a beer with soul is wrong. We all live in the bubble of our own experience. I've spoken to brewers like Jim Bicklein at Anheuser-Busch, and his excitement and commitment to the beer he brews is no different than Jean Van Roy's (Cantillon) or Dan Carey's (New Glarus) or Matthias Trum's (Schlenkerla). My bubble has been formed by interacting with all of them. But there are other bubbles out there, where people have different relationships to this thing we all love. One of the reasons we're in a golden age of beer is because people do feel this level of passion. Those who were outraged by A-B's purchase of 10 Barrel will help keep small, independent breweries in business, and I can certainly sign up for that. 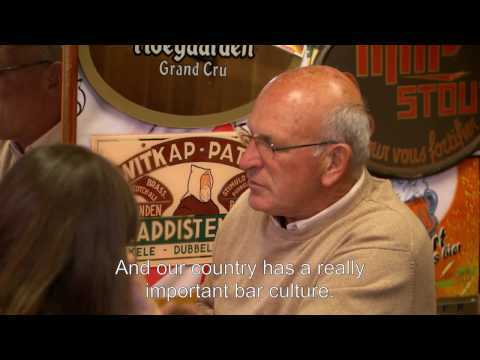 If they had felt this passionate about beer 50 years ago in Belgium, dozens of old, quirky breweries wouldn't have gone out of business and would still be around making traditional, sometimes world-class beer. Passion is good. Actually, now that I think about it, I'm pretty sure beer does have soul. I just subscribe to a slightly different religion: I think all beer has soul. Well, maybe not Natty Light. I think you're off on this one. As I mentioned in the other thread, tech buyouts ARE met with a lot of fury--it just depends on who's doing the buying. Facebook buys Oculus and the internet explodes. EA or Activision or one of the big game publishers buys one of the "little guys," the internet explodes. Take it off the internet: every time Starbucks ran a local place out of business, people flipped out. Not so much anymore, now that starbucks is a consistent bland corporate presence everywhere, though. The issue here is that you're looking at a relatively young market with a lot of brand loyalty. The entire narrative of craft brewing is the "plucky little guy against the corporate giants"-- so when the corporate giants do come in, that has to be resolved somehow. What I foresee happening is a lot like what happened in the hippie grocery market. Whole foods has engaged in some toxic behavior, bullying small places out of business, intentionally lowering opponents buyout value and then buying them out, and so on, but they have managed to avoid widespread criticism from the often socially aware market they appeal to. How? Good propaganda. They have a solid PR machine, and they can leverage that "we're the little guys!" libertarian hogwash narrative. The mega micros--new belgium, boston beer company, sierra nevada, dogfishhead, etc--are going to start this sort of behavior themselves, given enough time and capital. It is the inevitable end game of capital accumulation. I don't think you'll see the outrage then. But it's all PR agitprop and consumer weariness. As these buyouts become the new normal, you'll find that soul is no longer relevant. Another side effect of capital accumulation. Daniel, I think that's more or less what I said--albeit from a different angle. I sometimes wonder whether the problem is that we're still basically on the first generation of brewers. This is going to be a reality that you see more and more because the first wave of craft brewers are simply at the age where retirement is a possibility. Goose Island sold for, what, 40 million? Who else had 40 million? Who other than a large brewer would have paid that much money for Goose Island? In the case of 10 Barrel, what were they supposed to do? They started late in Oregon of all places. It's one of the most competitive markets in America. Deschutes and Rogue had about 15 years of head start on them. I'm not sure you can cogently argue to me that there's nobility in scraping along for market share in a country with ~3200 breweries or whatever it is now. They had the ability to gain leverage in a market and they took it. Beer evangelism is dangerous. It makes people think that this is a movement. We are not Woody Guthrie or Joe Strummer. We are not Cesar Chavez or Mahatma Ghandi. We're a bunch of slightly drunk middle class people who wear a little too much plaid and don't like shaving and we like good beer. To pretend that you're a rebel because of a purchasing decision is the kind of thing that Apple would love for you to continue to believe, but Steve Jobs wasn't the messiah and neither are the boys at 10 Barrel. It's not a betrayal on their part. They were always selling you a product. They've simply decided to enlarge their audience. Jordans comment might be one of the best things I have read all day. Especially that last paragraph. -There's nothing wrong with caring about local ownership; there's lots of local beer and if you want to stop buying 10 Barrel now, I think that's a totally defensible position. -What's not defensible is deciding that other people also need to care about what you care about, including the small business owners whose families have lived and breathed the success or failure of their enterprise. If I'm happy with the quality of Goose Island and you want all your dollars to support locally owned businesses, neither of us are bad people (though one of us might be more insufferable). I was at the dawn of the craft brewery movement, probably the age of many enthusiasts now (20's-30's). Being small was sometimes well-regarded, e.g. Anchor Brewing and the new small breweries which started up, many of which still exist (Anderson Valley, Sierra Nevada, Boulder Brewing, etc.). But large breweries were equally well-liked if they made an excellent product. People sought out Ballantine IPA - it was featured at the 1982 Great American Beer Festival. They sought out Guinness, Pilsner Urquell. They sought out Samuel Smith and other imports made by long-established British companies of various sizes (Whitbread, Courage, Bass, Scottish and Newcastle). German beers were sought out made by big Munich and other brewers. Correlatively, many old-style American lagers were still being made by small family businesses, say Fred Koch of Dunkirk, N, which were not hailed because the products lacked distinctiveness and used high adjunct. Being small and local was no guarantee of quality, in other words. People sought out what was good, not because of who made it. This way of looking at it is still valid because while we have countless small breweries working in modern styles, in fact a lot of these make mediocre beer, or beer which isn't that stable, or beer which just doesn't appeal to that many. And increasingly, some large breweries, some emerging to that status from craft scale, make great beer. Being small, always a relative thing, became more of a value as the craft beer industry proliferated. Small is beautiful, a hold-over from the 70's, was the ethos of the emerging information industries and the way the quality wine industry worked, both in California (also Washington State). But again, palate came first, always. I know, I was there, I saw it. IMO, capitalism is irrelevant to this discussion except in the sense that without capitalism, we would have very little beer choice, as in Cuba, say. What drives this whole thing, and has from the beginning, is the beer itself. Others may prefer to use additional criteria on which to make their purchase decision, I have no problem with that. It’s easy to understand the business decision, the owners made quite a bit of money for their investment. I get it, but I don't like it. The beer quality will stay the same (or improve, at least exploding bottles go away), but the majority of production will probably be made in LA. They will have more resources (ie money) to pump out more creative and award winning beers, especially if there amazing brewers stick around. So you'd think it would be good for the consumer. But I would argue that it is not. With AB adding what they can in money and marketing to a craft brewery it creates a lopsided playing field. This ultimately puts pressure on craft brewers with a more modest budget. The small craft brewery that is pushing the creative boundary, creating amazing beer, and trying to gain foothold in the best craft beer market in the world are going to have a harder time now because AB has infiltrated it. I understand its business, but it’s not business that I’m going to support. The Timid Man's Spontaneous Ferment?